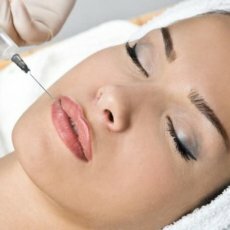 Lip filler treatment, also referred to as lip enhancement, has become one of the top applications formoderndermalfillers. Full lips are a sensual and attractive feature; so this treatment is popular with a wide age range. We find that most of our patients want a natural-looking lip enlargement – the so-called “trout pout” is definitely not in. Therefore it is important that an especially skillful approach is adopted with fine attention to the shape of the lips, not just the size. We therefore only use soft natural gels such as Restylane® and Juvederm®. These contain an anaesthetic so the procedure is now virtually painless when the filler is injected into the lip. Costs for lip fillers start from only £380. ALL lip enhancements are done by GMC-accredited Doctors in our London and Bristol medical clinics. 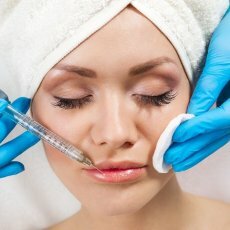 Lip filler pricing is based on the type and the amount of product used. 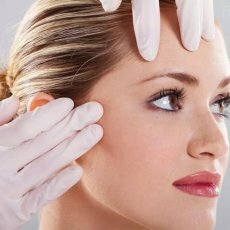 At the consultation our doctors will give you the best advice to achieve a natural result that combines the best fillers to meet your expectations as well as the costs. This pricing information represents a guide as the exact cost can only be given by the doctor at the consultation. All our treatments include the cost of full aftercare. A lip enhancement consultation with one of our skilled doctors costs £50. This treatment is available at all our clinics in London and Bristol. 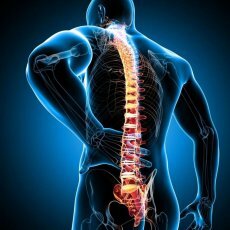 At Cosmedics ALL our consultations and treatments are by experienced UK doctors. 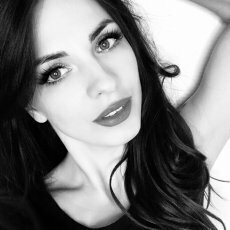 Lip enhancements are the most skilled application of fillers and you should always see a trained professional with lots of experience as otherwise you may regret a cheaper choice for a long time. Lip enhancement by using lip fillers is the most common form of treatment to remove lines around the mouth, so-called smokers’ lines, as well as create fuller upper lips for a more sensuous smile. At Cosmedics we want to give you the best natural-looking results as safely as possible. The treatment takes about 15 minutes and is virtually painless as we use numbing cream to help reduce any discomfort and the latest fillers also have anaesthetic that means it after a tiny scratch there is no pain. Patients are advised there maybe some initial swelling and possible bruising which can be covered with make-up and are fine to go to work the next day in most cases. 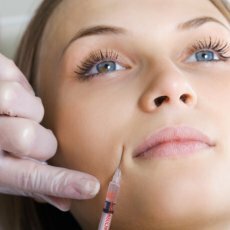 We use only natural dermal fillers like Restylane, perlane and Juvederm to gently fill out the lines around the mouth, cheeks and face as well as fuller lips. These products are FDA approved unlike some other filler products and at Cosmedics we only use these scienfically backed fillers that have had over 10 million treatments worldwide. Todays products slowly dissolve over 9-15 months according to your skin type and the density of filler used which is ideal as we can then top up the lines and wrinkles according to how the face has changed. 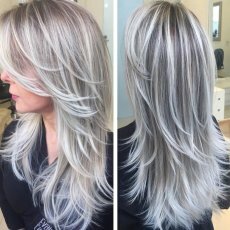 We advise against any permanent products as we feel the results achieved with natural non-permanent products are better, and also are able to adapt as your face changes. Lip augmentation with fillers is best suited for those people who have developed lines around the mouth (perhaps due to smoking or sun damage) or those that want fuller bigger lips. No pre-treatment care is needed. What about aftercare following the treatment? You will have swollen lips afterwards. This will mainly settle over the next 12 hours. Depending on the type of lip enhancement you have chosen, returning to work the following day should be OK.
After care involves using a cold compress for the first day or so to help with any bruising or swelling that may occur. 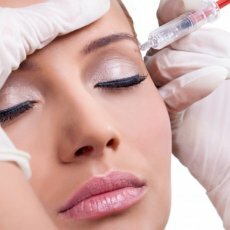 Side effects with fillers are not that common however they can occur with brusing lasting 1-2 weeks or an allergic reaction which means the area can be red for up to a week. Occasionally a small lump can remain which if it does not settle with massaging can be dissolved with hyalase injections. Treatment results are instant and last for 4 to 6 months. Repeat treatments can be done and have no long-term effect on the lips. Will the lip return to normal once the product has dissolved? Yes, after about 4-6 months. What is the cost of lip filler? 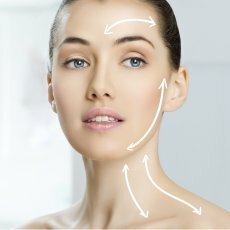 Can fillers and BOTOX® be used together? Yes and they often are to create a full face rejuvenation. Should one avoid cheap fillers? If it does by a medical doctor or nurse with experience then it should be ok, but you always tend to get what you pay for and at Cosmedics we offer the best prices for treatments with fully qualified Doctors only. The procedure is very safe and we aim to achieve natural-looking results.